Product Option: Mug & Coaster/Lid set - 12 oz capacity Nature Ad™ Corn mug souper™. Microwave safe. 100% corn plastic engraved on bottom. Made in the USA. Made from 100% U.S. corn plastic. USDA certified bio-based product. Hand wash recommended. Dimensions: 3" tall. Our company is utilizing all natural plastic,that not only helps relieve U.S. dependence on foreign energy, but is based on a renewable U.S. agricultural product corn plastic! Corn based plastic products are compostable. 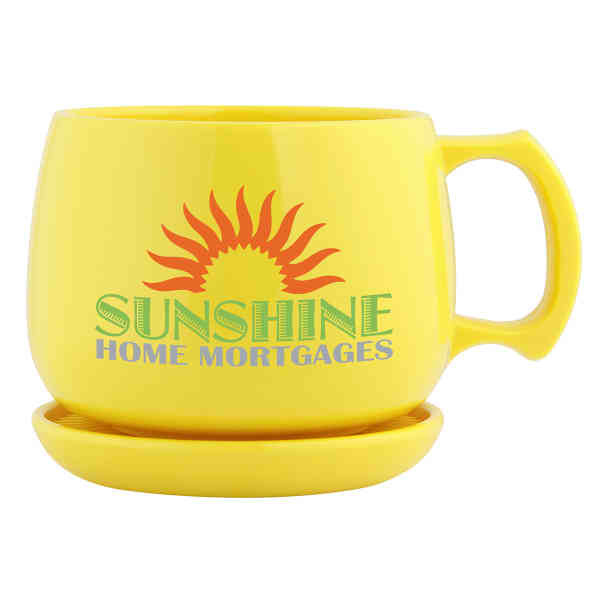 Imprint Size:1 1/2" x 3 1/4"
Ship Weight:mug only shipping weight = 19 lbs. mug with coaster/lid shipping weight = 22 lbs.